Exploration no. 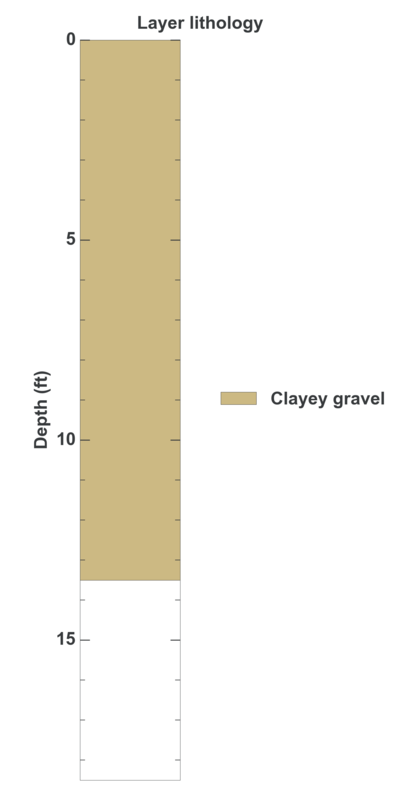 56926 is a Geotechnical (depth 13.5 feet) named: DH-1 described in subsurface document no. 10119. The document, a report titled Ballard Medical Office was prepared by Neil H. Twelker and Associates, Inc. on 03-20-1973 for a Retail / commercial building project.